Picnic In The Park! With Sing Out Detroit. Tickets are $20 in advance only. July 14th 2pm – 5pm. 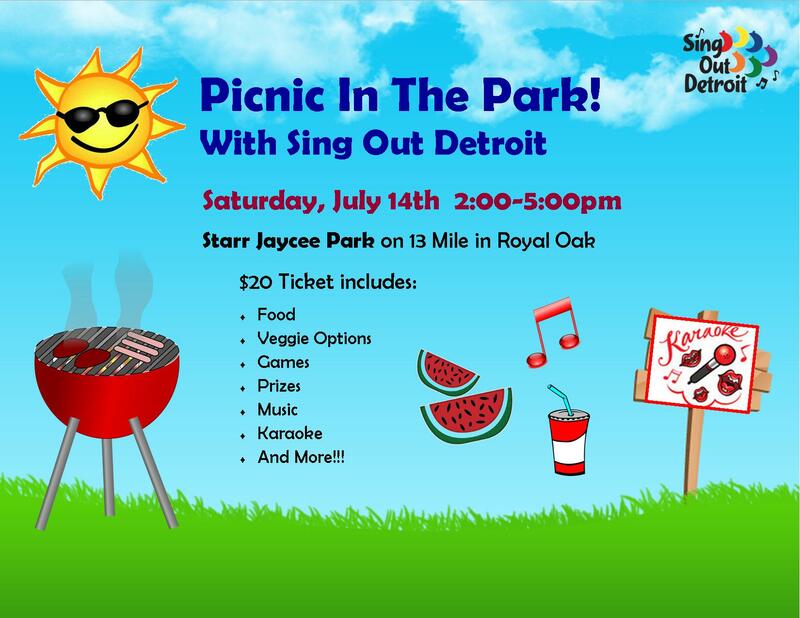 Starr Jaycee Park on 13 Mile in Royal Oak.